Grafotec high tech products are always a step ahead. 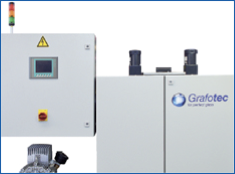 Whether nozzle or roller system - Grafotec's separator application systems are specifically customized to be integrated perfectly into any existing float and float glass production line - worldwide. Our nozzle systems - we call it AP: Advanced Powder system - enable multi-purpose application in all float and float glass production lines and provide for consistent atomized spray and excellent protection of your glass. The AP system is easy to operate and provides outstanding ease of cleaning and enduring/sustained minimized maintenance costs. With our reliable roller system »PDS« for coating float and float glass with all separator agents currently on the market, float and float glass finishing reaches a new quality standard. Our roller system enhances the reliability of the production process and significantly reduces separator waste. Powder Sprayer for Float and Flat Glass Grafotec's AP SINGLE is a nozzle system for the application of powdered separator agents and perfectly suited to standard conditions of the float and flat glass technology. With its standard settings, AP SINGLE provides a basic level of float glass and flat glass protection with an application width of maximum 3,300 mm and its special nozzle system, and is easily integrated into current production lines - not least due to its space-saving design. Most separator agents for float and flat glass currently on the market. AP TWIN is an enhancement of the proven and tested Grafotec nozzle system. With an application width from 3,300 mm and a double batcher the AP TWIN powder sprayer permits a clever adaption to production widths and gaps as well as the application of two different separating agents during the production process due to two separate 15 liters powder reservoirs. 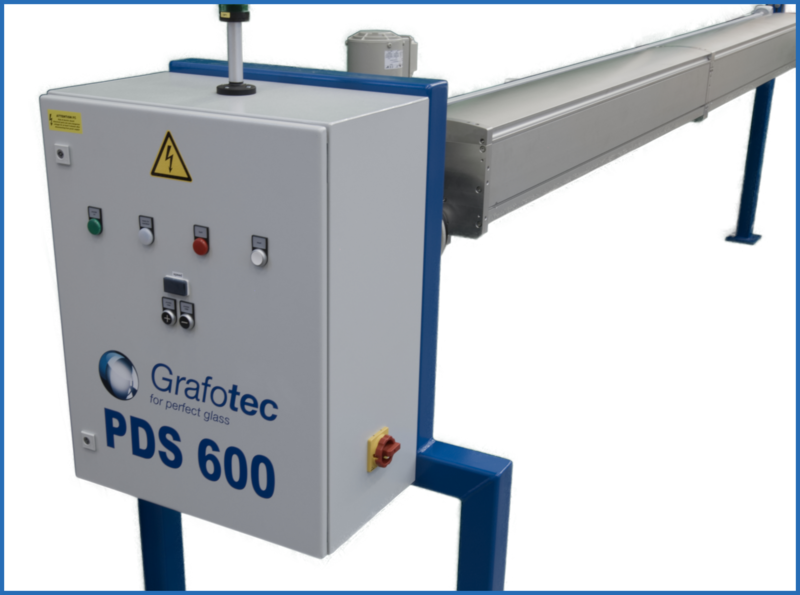 The Grafotec PDS is a special roller based on a powder separator application system. With an application width up to 6,500 mm and its special electrostatic powder charging it provides an outstanding uniform and homogeneous application of most separator agents for float and flat glass currently on the market.